How is Bill of Lading issued under a triangular shipment? Suppose you are supplier of goods in India, you obtains export order from ABC China and ABC gets purchase order from USA. Once after completing n ecessary customs clearance procedures at load port, carrier issues Bill of Lading to you. The shipper under this bill of lading is you in India and consignee is your buyer ABC in China. The port of loading will be ‘your loading port’ and port of discharge and place of delivery are in USA as final port of discharge and final place of delivery. Once after discounting / negotiating your export bills, you send the said Bill of Lading to your buyer ABC in China along with other required documents as usual through your bank. Once after receiving original bills of lading from you, ABC in China surrenders the said original Bills of Lading with the carrier and make arrangements to issue another Bill of Lading to him, by mentioning shipper as ABC,CHINA and consignee as ZYZ, USA. This bill of lading is called ‘switch bill of lading’. So ABC in China sends the said bill of Lading to his buyer XYZ, USA. The said switch Bill of lading is used by ABC for discounting or negotiating his export bills with Bank. Surrender of Bill of Lading procedures and express release bill of lading procedures are also followed as regularly used in export trade. I hope, I have explained about the Bill of Lading procedures in Triangular shipment. Have you satisfied with this article about the mechanism of Bill of Lading under Triangular exports and imports? Would you like to add more information about documentation of preparing Bill of Lading under Triangular trade in international business? Share your experience in handling Bill of Lading under triangular imports and exports. Comment below your suggestions about this article - Bill of Lading proceudres in triangular shipment. What is Switch Bill of Lading. BALAJI: On 20 February 2013 If I am bringing the consignment from Europe to Indian port & switch the b/l at USA. Can I mentioned USA buyer name in the documents like Certificate of origin & health certificate for clearance at India? What is the procedure to clear the same in India without revealing the Indian ultimate buyer name in the said above certificates? admin: On 20 February 2013 Hi Balaji, 1. Your question is brilliant but genuine and practical. Most of the countries allow to mention the details of your USA client (in your example) in Certificate of Origin, Health Certificate or any other specific documents if any. However, country of shipment and country of origin of goods will be European country. 2. If certificate of origin, health certificate and other specific documents if any issued by other agencies can be mentioned the details of USA customer, you can go ahead with other normal triangular shipment documentation which totally hide all details of Europe final seller from Indian final buyer. In other cases, you can appoint an agent who acts as an Importer in India. He completes import customs formalities and delivers cargo to the final buyer in India. Some of the customs brokers act as Importer also to protect such customers from contacting directly with final buyer and final seller. Rajeev: On 30 July 2013 Sir, Following Point No. 2 in your answer is not clear. Please elaborate. My question is how to hide name of the Actual export on Certificate of Origin ? admin Says : Wednesday, February 20, 2013 2.If certificate of origin, health certificate and other specific documents if any issued by other agencies can be mentioned the details of USA customer, you can go ahead with other normal triangular shipment documentation which totally hide all details of Europe final seller from Indian final buyer. John: On 09 October 2013 Hi Rajeev, Author is right, you can clarify with a good consultant in this regard. santhosh Kumar: On 16 December 2013 You have describe with very well manner, It is understandable, I wants seek with you," What is cross trading?? Surendran Kollerath: On 10 March 2014 Hi Sagar Singh, In a triangular shipment, final buyer may know that his supplier is sourcing goods from another country. So final buyer does not care about the country of origin of goods if no restrictions by importing country. So almost all final buyers are aware of country of originally manufactured. Manna: On 28 September 2014 I would like to know how is switch bill of leading different from triangular bill of leading..... Kindly explain... Regards. vinit naik: On 09 October 2014 i have a FOB export order (shipment going to third country). t & c are adv payment (as this is a trial order of very less value) & on FOB. my buyer is in UK. the buyer wants his company name as the shipper on the b/l, is this possible, if yes please do explain the procedure. switch b/l is what i know of but he says his shipments ex china has his company name in the b/l.. please advise. Uma: On 30 October 2014 Afternoon, My question as follows:- 1. For Triangle shipment, if not required switch BL it is fine right? As long between the A / b / C companies are some how related. 2.Example the shipment from Singapore to USA and payable in Malaysia, the bill of lading should be remarked as "Freight Prepaid or Collect"? Obviously the BL will remark with condition "payable in Malaysia". However, the payment should be strictly remark as "Collect" or "Prepaid"? Or this is very subjective questions? Please advice. Thanks. Admin: On 30 October 2014 Hi Uma, Read all my artcles about Triangular shipment. ANAND: On 06 November 2014 Hello 1. Can switched BL be split into more than one switch BL within the total goods quantity?. 2. Will the switch BL will carry the same original BL No. ? 3. How to identify a particular switch BL is related to a particular original BL. Please explain , Thanks. Admin: On 25 November 2014 Hi Ravikumar, XYZ, USA can collect delivery order by submitting Switch Bill of Lading issued to ABC,China. ABC China can also surrender same switch bill of lading to the carrier and arrange to send a message to final destination of cargo for not insisting for Bill of Lading. or You submits your Bill of lading to your bank, your bank sends the same BL to xyz'bank. xyz'bank delivers same BL to xyz as per terms of delivery and payment. xyz submits the same Bill of lading with carrier to issue switch bill of lading. carrier issues switch bill of lading, this switch bill of lading is surrendered with carrier at destination port, collect delivery order from them, submits with custodian of cargo to release goods after import customs clearance of importing country. sam: On 26 November 2014 Dear Sir, Our buyer is asking for a guarantee letter from the us authorizing him to 'Switch the B/L". is it advisable? Following is the buyer's text: Please arrange to endorse the B/L by putting a company chop and signature on the back of all the original B/Ls.Kindly also please send a guarantee letter addressed to the shipping Company authorizing "ABC HONGKONG., Ltd." to switch for a new set of B/L in Hong Kong. Please arrange to send us the endorsed B/L and the guarantee letter. We can send you a guarantee letter, that we take full responsibility and liability for this change. Jason: On 17 December 2014 I am supplier in India, got a order from Europe and going to purchase from china. I am aware about the triangular shipment. But what is the procedure if I want to supply shipment on FOB China basis because my company is not registered in china. Franky: On 07 April 2015 It is known that OHBL is sent in cover in Air shipment. Is there a possibility of SWITCH HAWB in air shipment. Thank you. Husein Tinwala: On 23 April 2015 Hi, Please provide your inputs wrt to following transaction: Company A, in India gets an order from Company B in china. Company A shall procure the goods from Company C in US. Now we wish to deliver the goods directly from US to China. How do we go about it? Do we require siwtch b/l in this case or we just have to mention in the BE/BL that "delivered to" and "nofify to" parties are different. please advice. Regards, Husein. 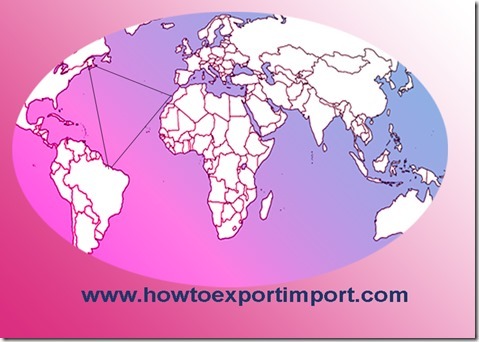 Kuldeep Sabhnani : On 02 July 2015 I have gone thru the site 'http://www.howtoexportimport.com'. Its a very informative site. I am specially interested in triangular transactions. My query is that in triangular transactions the Bill of Lading can be changed once the consignment reaches the agent from the supplier before sending the consignment to the consignee. Is it possible to change the country of origin of the goods as well? Ex. 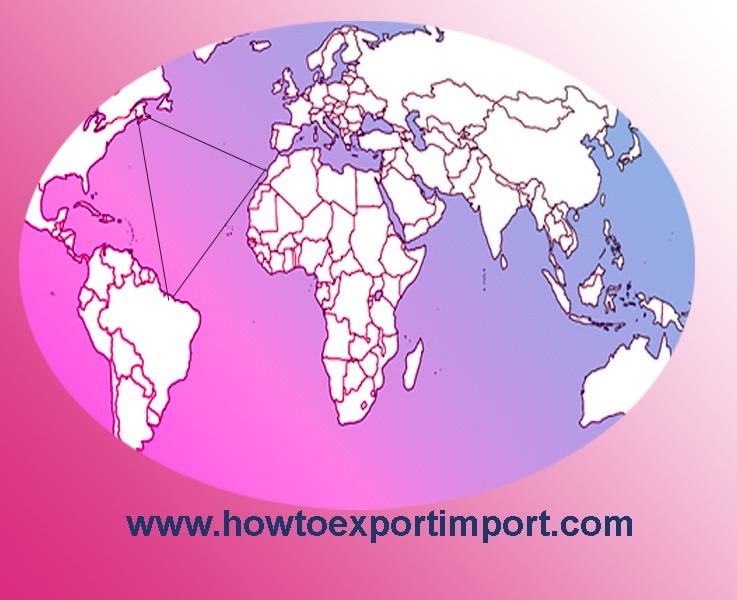 If my supplier is from China and consignee is in Uk and i am in India, can i ship the consigment first to India so that the country of origin of the goods can be changed to India instead of China. At times even if the product is good just because its Chinese the product is not accepted in certain countries. Pls let me know if there is a way out and if there is a legal procedure available . I understand that BIL can be changed but am not sure of COO. Noel Jathanna : On 08 July 2015 Can you please help & let me know the bank requirements for payment towards import & documents for export in case of 'SWITCH transaction' where material is purchased & sold without materials cleared in our country? It's import & export in the same transaction. Pramod: On 26 September 2015 Hi, I have a supplier in HK who can ship products directly to UK. I have paypal account in INDIA and I have eBay account. Suppose if some one from UK buys item in eBay then I will receive funds to my PayPal account in India. I will then order the product from HK supplier and send this Item directly to UK customer. In this case, what are the procedures? murali : On 14 October 2015 I happened to come across your blog on Import and Export and found the information very very useful. Thank you very much for such an informative blog. We are a non-profit section 25 company and we are working with artisans in Channapatna to promote the Channapatna handicraft. We are a livelihood development organisation involved in skill training and providing marketing support to artisans. Currently we are exporting our products and we are interested to explore selling our products directly to customers outside india through e-commerce. We would like to understand the documentation and procedures that we have to follow for this - billing, customs documents, bank procedures etc. John: On 18 November 2015 I'm buying cargo from china on CAD Basis. I'm in India. Cargo going to Dubai. How to make my documents ? Please suggest. I need to protect my end client from the chinese company. raju: On 18 December 2015 hi can i change Place of receipt and Port of loading in 2nd leg of switch BL cargo is loaded from India F/dest is yangon BL will be switch at singapore so can i mention POL as singapore in 2nd leg BL ? SHEIKH FARID: On 12 July 2016 HI, My query is that A purchase a plant from B in terms of DAP Now shipment reached at destination and A insisting to do the customs clearance by B in this regards please guide me who will be responsible for the customs clearance at destination in terms of DAP. Regards. bemi: On 30 August 2016 Hi, Would appreciate your opinion on below situaion. We are based in India and our client is based in China. Our client has asked us to Quote prices FOR SEZ Kandla. (meaninng the chinese client will be buying from us and selling to their client in SEZ Kandla. In this situation: 1) How can we document this Export, we will be exporting under Advance Authorization License. 2) Will our Export Invoice , Packing List, Copy of Transport Receipt showing Our name as Exporter and Chinese compnay name as Importer/Buyer with destination of Goods SEZ Kandla : be acceptabel as Proof of export? 3) For exports to SEZ we need to file Bill of Export. Do we need to file Bill of Export with Shipper as our name and Buyer as our Chinese client , with their address of China , however our Contract will show the Destiantion and price as FOR Kandla. M Arif: On 16 May 2017 I just want to know if Switching Air Waybill or switching BL is legal? amit : On 24 May 2017 suppose we have a import from china but we do not want to declare the loading port as china . we declare loading port as Indonesia for instance .will it require the coo for Indonesia origin . will the vessel track will be checked by indian customs . BHAVESH K PATEL: On 17 June 2017 Dear Sir, I am company A in India, I got order from a client C in Iran. I want to purchase from a supplier B in China and supply it to client C in Iran. I want to hide details of Supplier from Client. I understood all details of switching BL and all. But I want to know about Certificate Of Origin and PhytoSanitary Certificate. I want to know who issues these documents. Can we reissue only this two documents in India. Can we get a certificate of Origin stating China as Origin Country from India. Bala: On 14 July 2017 Thanks to all for your brilliant presentations. On the Switch BL, i heard that we can change on the shipper & consignee columns. What about POL & POD. Shall we change that too. Baskar: On 07 September 2017 Hi I am purchasing some materials from Japan and asked them to deliver partial material to China and the balance materials to India. But the tax invoice what will get from Japan is for partial materials as per their customs but i paid them full advance amount. So as per the papers, Japan still have pending materials to me. In this case, how the papers need to be consigned. Zarksis B.Munshi: On 17 July 2018 Sir, In case of air freight how can we do triangular shipments because the time span is so less and an AWB is a non negotiable document. Please advise. Zarksis B.Munshi: On 17 July 2018 Sir, For triangular shipments in airfreight can we use an FCR to the shipper instead of issuing the first set of switch AWB. Please advise. Thanks and best regards. Subbarao : On 08 November 2018 I want to import from UAE and do high sea sale to Germany. I am trader in india. In this case the ship does not come to india. Does this transaction attract custom duty in india. Talia: On 22 March 2019 Hello, I have an L/C air shipment from Italy to Vietnam. The LC neg is in Singapore. Now the cargo has reached Vietnam but the 1st leg AWB is still in Italy. How do I get the forwarder to release switch AWB to clear the cargo?